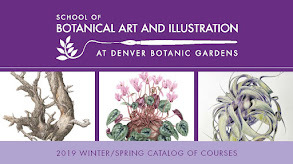 The size of the botanical illustration classes at Denver Botanic Gardens is limited to 15 students, occasionally this is increased to 16, but the typical number varies between 11 and 14. The ideal class size is eleven students which gives the instructor adequate time to circulate in the classroom for the important one-on-one instruction and support to each student. Lateral learning through input from the fellow students is also very important especially on the more advanced classes. 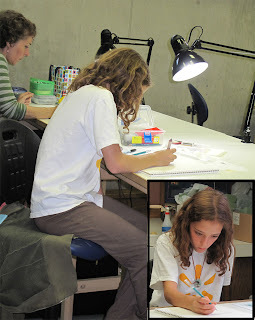 The microscopy classes are limited to 10 students. Our courses are 15 hours long divided into 3-hr sessions over a 5-week time period. Some of the advanced level elective courses are 18 or 21 hours long giving the student a satisfactory time to work with a more demanding task. We schedule three class sessions more or less in parallel: one in the morning (9 a.m. – noon), one on the afternoon (1 – 4 p.m.) and one in the evening (6 – 9 p.m.). 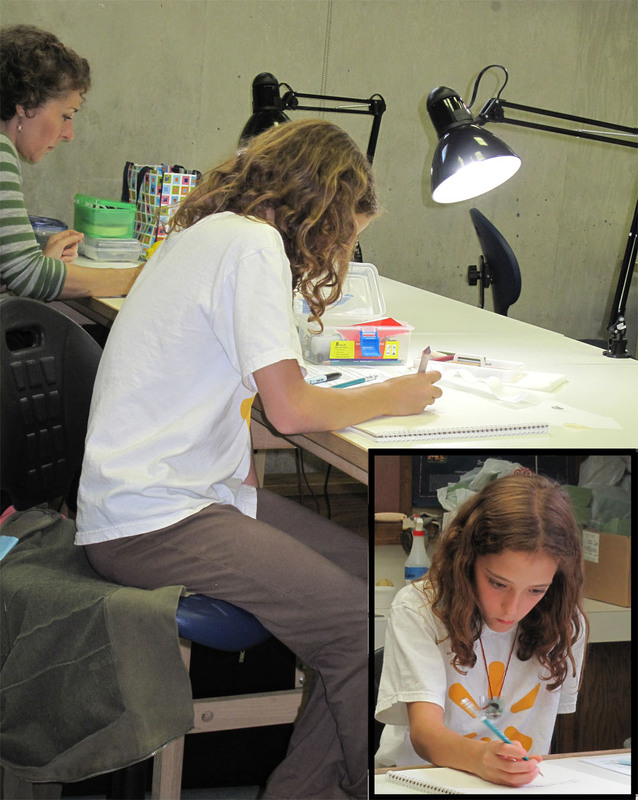 We also offer week-end workshops (Friday through Sunday, 5 hours/day). Our faculty has 8 teachers, each of them highly qualified on their own field (Karla Beatty, Mervi Hjelmroos-Koski, Renee Jorgensen, Libby Kyer, Marjorie Leggitt, Annie Reiser, Susan Rubin and Constance Sayas). Every year we have at least one international and two domestic visiting instructors as this is a highly important part of the program enrichment. The curriculum for the certificate includes 13 required courses and at least 100 classroom hours of elective courses plus a portfolio. 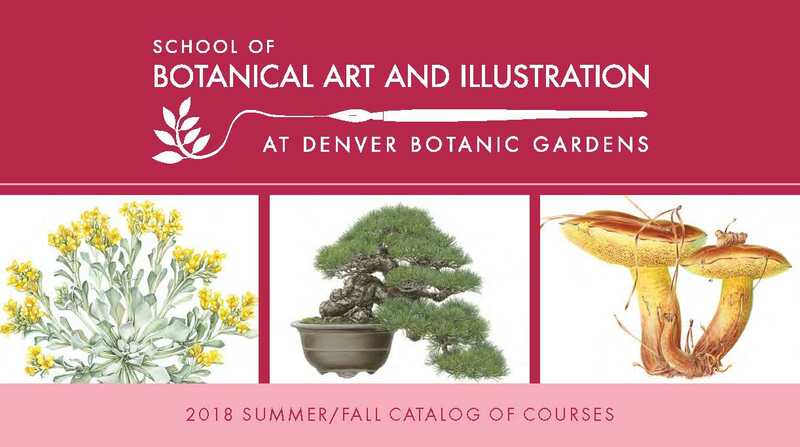 In addition to the 109 courses offered at Denver Botanic Gardens during the current year (2010) we also offer one entry level class at the Arvada Center in Denver and two weekend workshops at Gateway Canyons Resort. 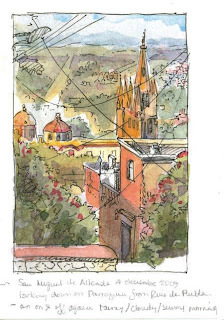 Our satellite program at El Charco del Ingenio Botanical gardens in San Miguel de Allende, GTO, Mexico was launched very successfully in December 2009 and nine classes are offered there in 2010 with students attending mostly from Mexico but also from the USA. 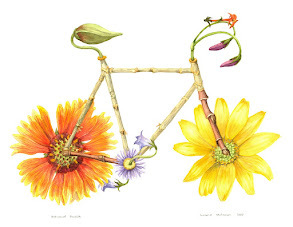 The program also includes Café Botanique, a public lecture series on science and art. In 2009 we had 322 students who enrolled in 3 or more core classes during the year and 16 graduates from the program. Even though the program primarily is adult education the youngest student at the moment is 11 years old. Our students are for the most part from Colorado, but we also have enrollments from many other states from Alaska to Florida and other countries such as U.K., Canada, Mexico and Brazil. 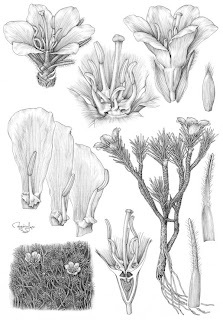 Brazilian biologist and scientific illustrator Rogerio Lupo's illustration was selected for its accuracy, clarity, artistry and composition to win the Margaret Flocton Award 2010 and he received the $5000 1st prize in the ceremony at the National Herbarium of NSW of Royal Botanic Gardens in Sydney Australia. Margaret Flockton Award promotes the appreciation and understanding of contemporary scientific botanical illustration and is one of the most prestigious awards worldwide on its field. This year the entries came from Australia, New Zealand, Britain, Spain, Poland, USA, Mexico and Brazil. 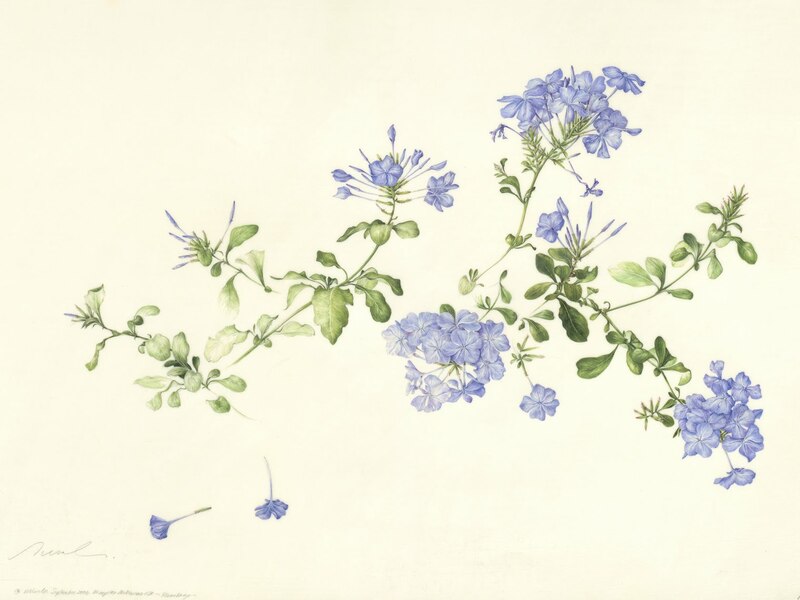 With one of the great botanic gardens in the world and the oldest in the Southern Hemisphere, Brazil has fostered a strong tradition of botanical illustrators. 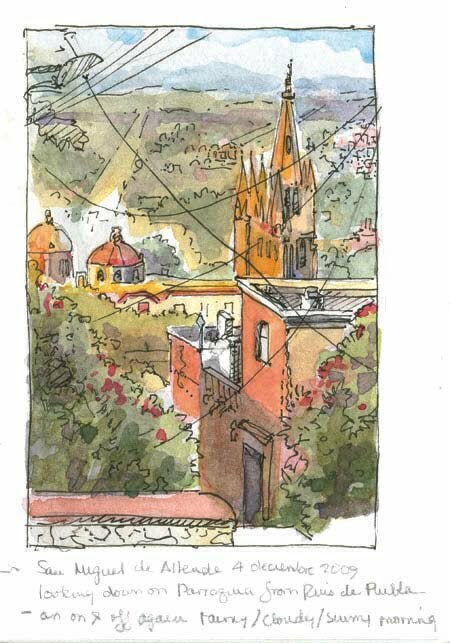 Another entry for the Flockton Award by Rogerio Lupo received a Highly Commended as did a work by fellow Brazilian Klei Sousa who received the 1st prize in 2009. The second prize ($2000) went to Sarah Adler from USA. Illuminated Vandas at Lonwood by Particia Laspino is the first in series of a commemorative limited edition prints that are created for the Orchid Alliance Project Exhibitons. 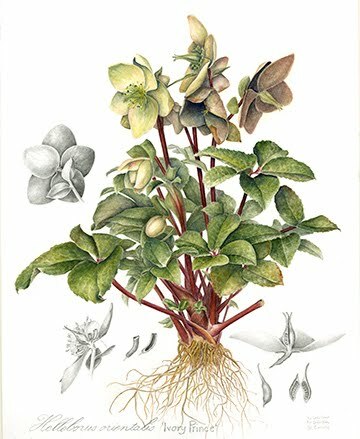 The Orchid Alliance Project is Bridging Art and Science by fostering awareness about evolution, biodiversity and conservation through combining historical art processes and contemporary technologies. 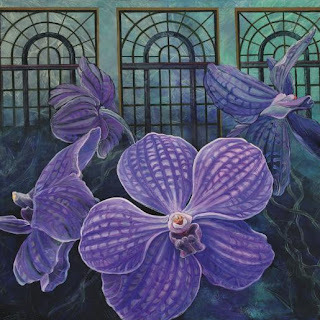 Orchids are considered an environmental indicator and display the finely balanced interdependence with the other plants, animals and insects that coexists within their habitats. You can read more about the Orchid Alliance project by clicking here (Orchid Magazine, August 2008, pdf). 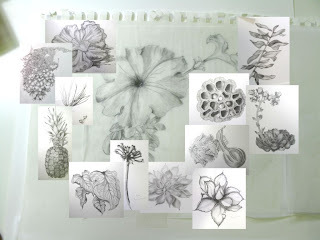 As a part of and for the enrichment of the Botanical illustration class "Plants to Dye for" Maggie Casey from Shuttles, Spindles and Skeins (Boulder, CO) came into the classroom and talked to the 14 students and the instructor Susan Rubin about dyeing and how to dye. She also visualized her talk with yarn samples dyed with natural colors. Everybody truly enjoyed her presentation. 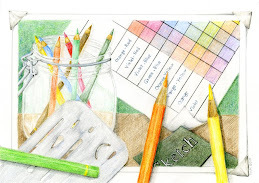 Maggy Casey is the author for Start Spinning: Everything You need to Know to Make Great Yarn . Highest upp: Maggie demonstrating the 'power' of different mordants and the beautifully colored yarns dyed with the plants around her house in Boulder. Middle: The class is investigating the different beautiful colors and matching with colored pencils. Lowest down: Maggie Casey and Ann Fleming. 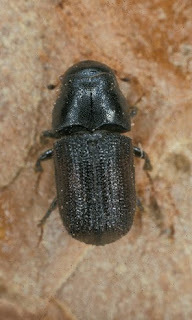 Lisa Mason will focus on the ecology of the mountain pine beetle. Why is the beetle here? 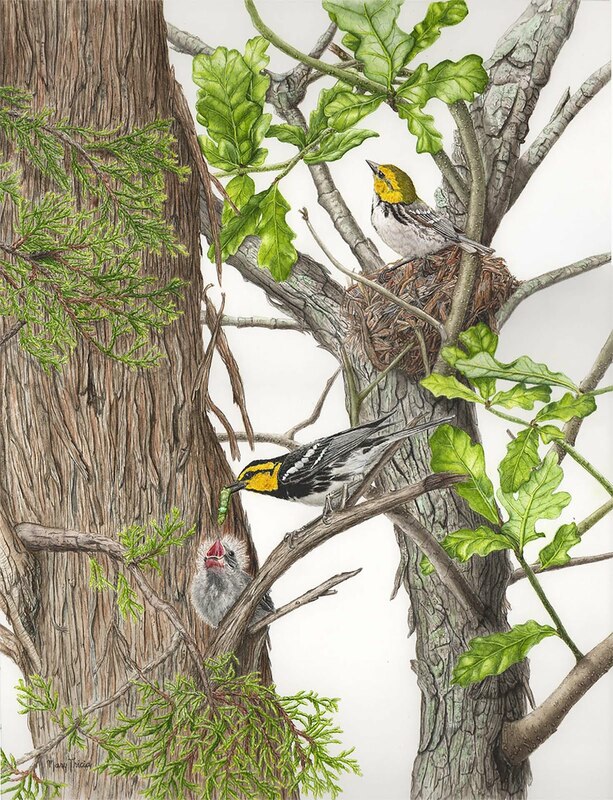 How does it fit in the natural part of the forest ecosystem? Lisa will also talk about the history, what is happening now, and what the future holds for Colorado’s forests. 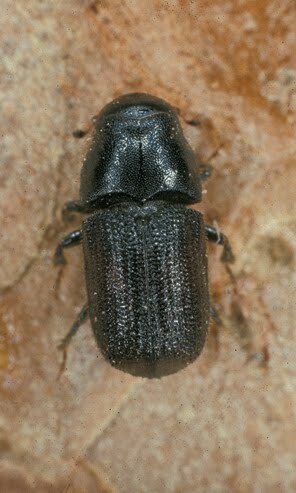 You will also meet Buford the mountain pine beetle, and see the world through the eyes of the rice grain-sized bug. There will be samples of beetles, bark and tree cookies on display. Lisa Mason is the Outreach Forester for the Colorado State Forest Service. Lisa graduated from Colorado State UniversityColorado “Are You FireWise?” program. in 2008 with a degree in Forestry and Theatre. 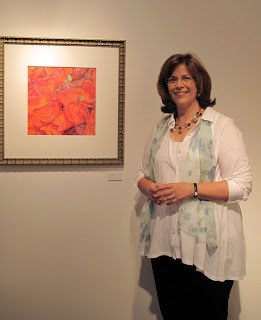 She does programs, events, workshops and environmental education for audiences that range from Kindergarten through adult. She also teaches on a variety of topics including forestry, insects and disease, and fire. She is works closely with Community Wildfire Protection Plans and manages the Colorado "Are You FireWise?" program. 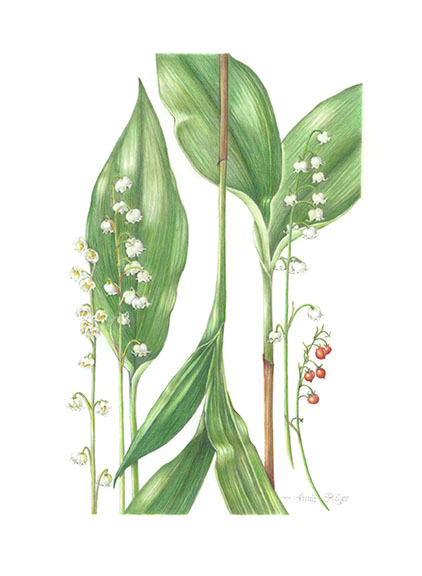 Opening Reception: Friday, May 21, 6 - 9 p.m.
Coffee with the Artist: Sunday June 13, 1 - 4 p.m.
Susan Rubin is an instructor in the Botanical Art and Illustration Program at Denver Botanic Gardens. 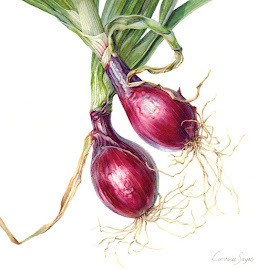 Kate Nessler is internationally acclaimed botanical artist who has won numerous awards, including three Cold Medals from the Royal Horticulture Society. 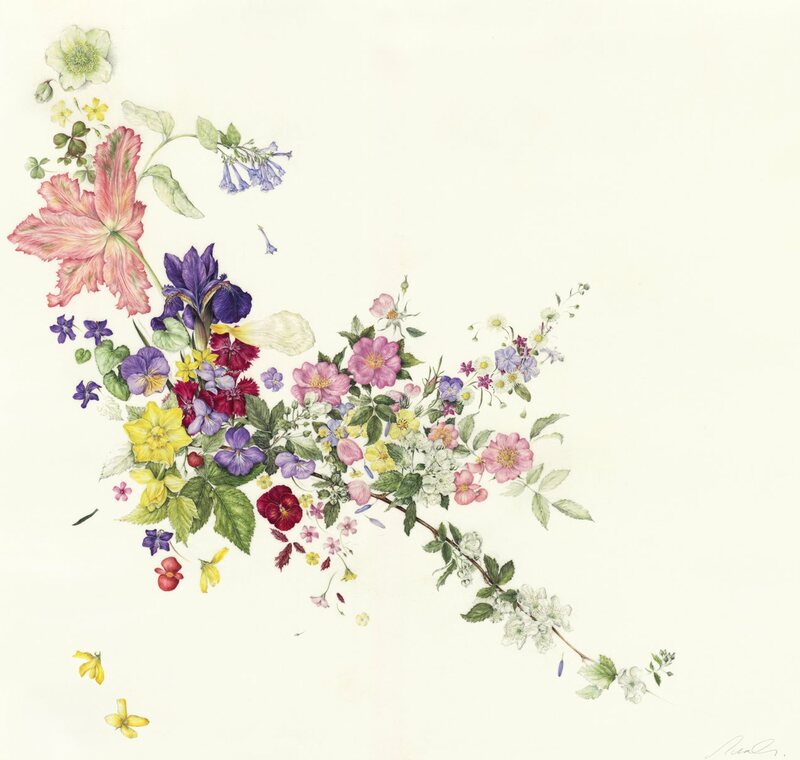 Kate is also included in the Shirley Sherwoood collection and Hunt Institute for Botanical Documentation and has contributed to Prince Charles' Highgrove Florilegium. 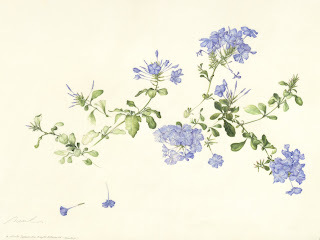 Kate Nessler is visiting Denver Botanic Gardens' Botanical Art and Illustration program in August 20 - 22 and giving a 18hr 3-day workshop how to paint on vellum.We have 3 seats left for this workshop (the registration started this morning). For more details and to register, please click here. 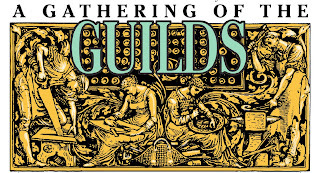 Registration opens tomorrow, Monday, May 17, 9 a.m. 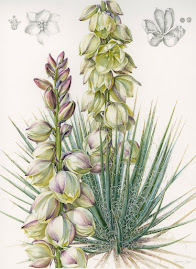 Registration for July - December Botanical Illustration classes starts on May 17th, 9 a.m.
Register online by clicking here, or call 720-865-3580. 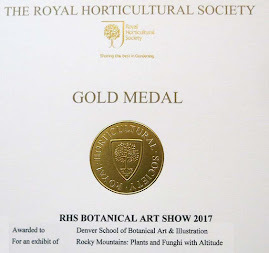 It is absolutely worthwhile the trip to Boulder to visit this exhibitproduced by Rocky Mountain Society of Botanical Artists (RMSBA), Culpeper's Medicinal Herbs. 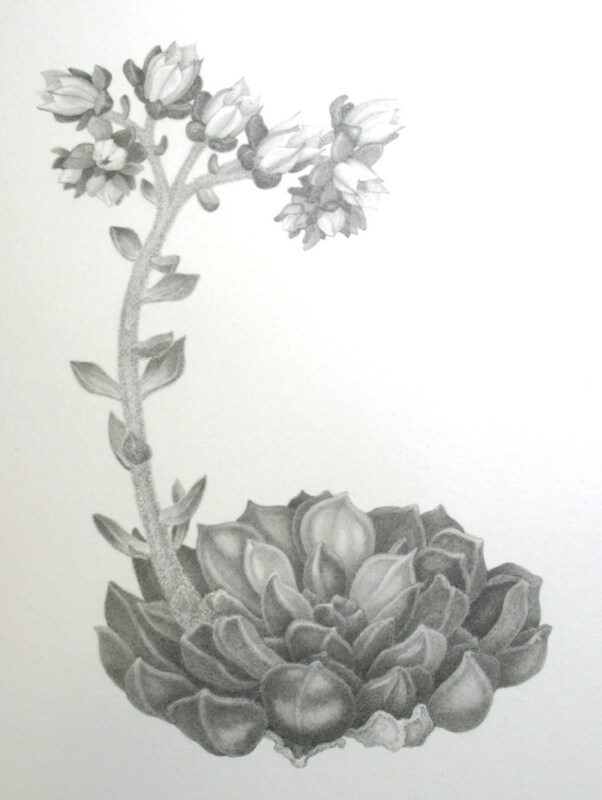 All the exhibiting artists are from the BI-community and the art is very good and enjoyable. Congratulations to all artists and congratulations for the organizers (Susan DiMarchi, Dorothy DePaolo, Carol Till and many others)! 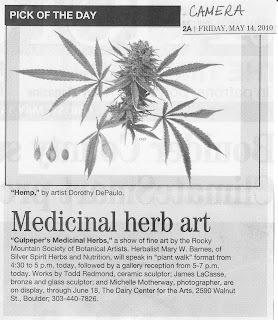 The Dairy Center for the Arts, 2590 Walnut Street, Boulder (May 14 - June 18, 2010, Monday - Friday, 9 a.m. - 5 p.m.). 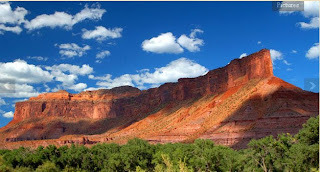 South of Grand Junction, west of Aspen, north of Telluride and east of Moab where West Creek and the Dolores River meet is Palisade and Gateway Canyons Resort. 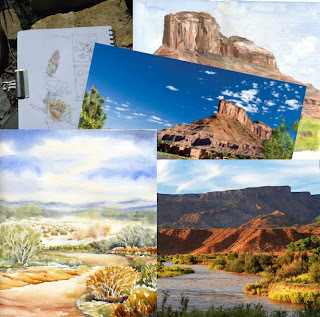 This treasure is only a few miles from Utah boarder, surrounded by red sandstones and over 300 million year old Triassic layers, and extremely diverse flora with many different ecosystems. 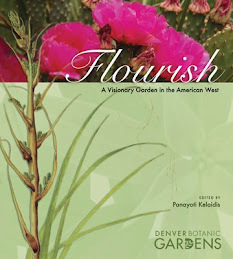 DBG's Botanical Art and Illustration program is pleased to offer selected classes at Gateway Canyons Resort, Gateway, CO during 2010. Have a closer look at our program by clicking here (or the image on the left, or the image on the right hand column). 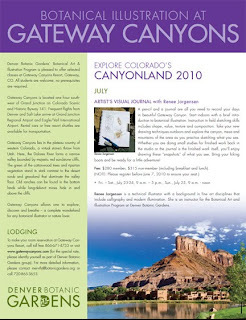 EXPLORE COLORADO's CANYONLAND - EVERYBODY IS WELCOME!! Crab apple by Barbara McKee (Click image to enlarge) - Barbara belongs to the Denver DBG' BI-community. 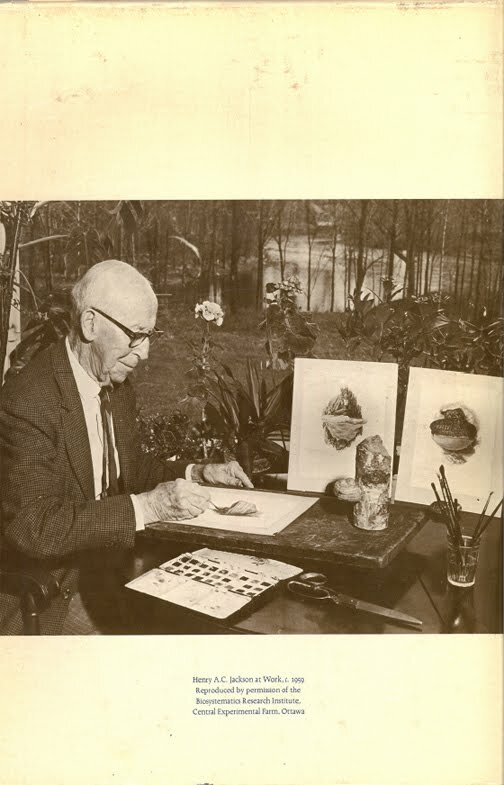 Mr. Jackson (1877-1961) referred himself as a simple field-naturalist, yet he was a competent, professional artist whose renderings of fungi were appreciated by many mycologists and fellow artists. 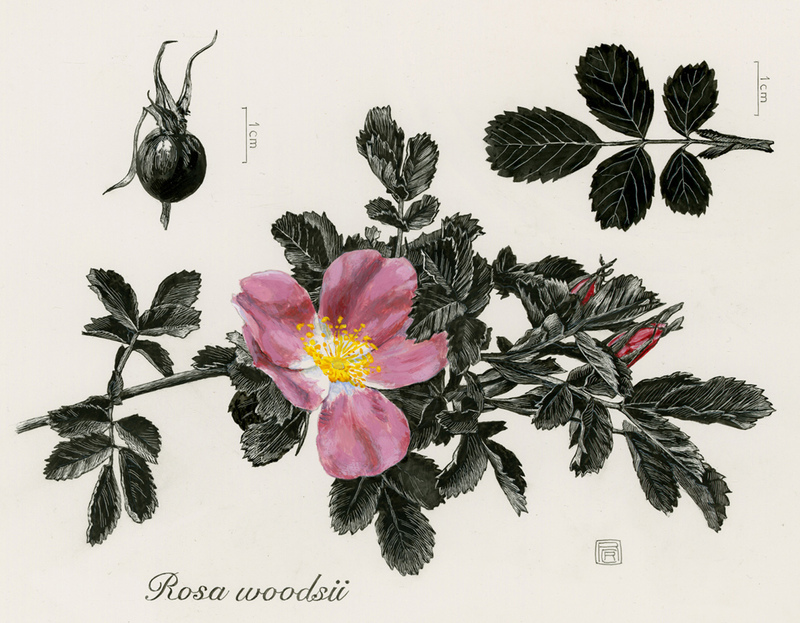 The forty-two plates which are included in this volume and reproduced in the actual size reveal Jackson's extraordinary eye for detail and the total command of technique. He started to keep notebook 1927 and selected entries dealing with technical questions regarding the renderings and mycology from the year 1931-1954 are included in Mr Jackson's Notebooks. 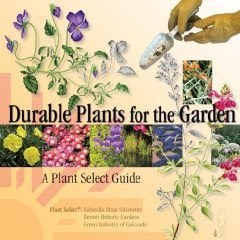 Entries dealing with environmental concerns are also included. 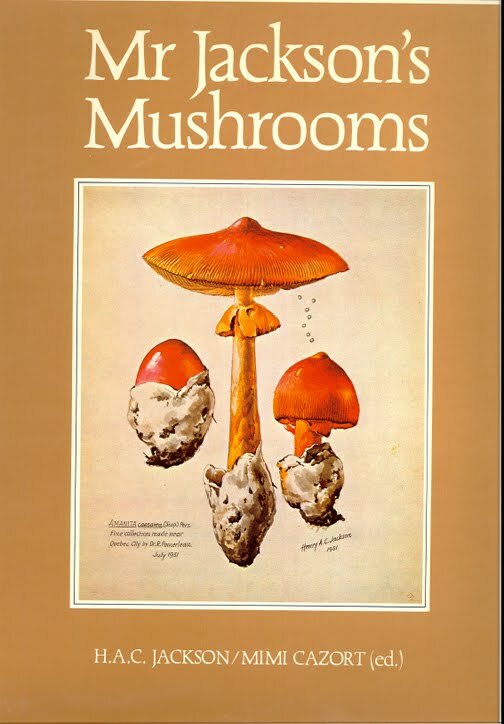 This captivating treasure was published 1979 by National Gallery of Canada and National Museums of Canada as a companion publication for an exhibit in the National Gallery in the late 1970's. The Boettcher Mansion on Lookout Mountain, Golden, Colorado. These were taken on the final class of Pencil II. Many students completed a beautiful rendering of their subject matter, some are using the work as a value study for a future color plate.